Joan Didion's combination of clarity of insight and observation with her unique and utterly poetic voice reels me in. That voice is like no other's: offhandedly heartbreaking. 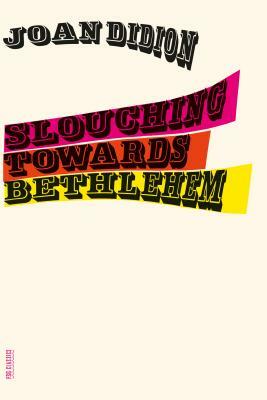 Slouching Towards Bethlehem is a delightful way to explore places and moments in time, from youthful New York City to the remains of Belle Epoque Newport (The Seacoast of Despair).